Dwell by Cheryl: "Inspiration at 30,000 Feet"
I'm not sure exactly what it is, but I get some of my very best ideas on airplanes. Maybe it's the cabin pressure or the high altitude, but many a great idea has been born at 30,000 feet. I'm sure it has something to do with the fact that there really aren't any distractions in the air (especially if you've got a good set of headphones). 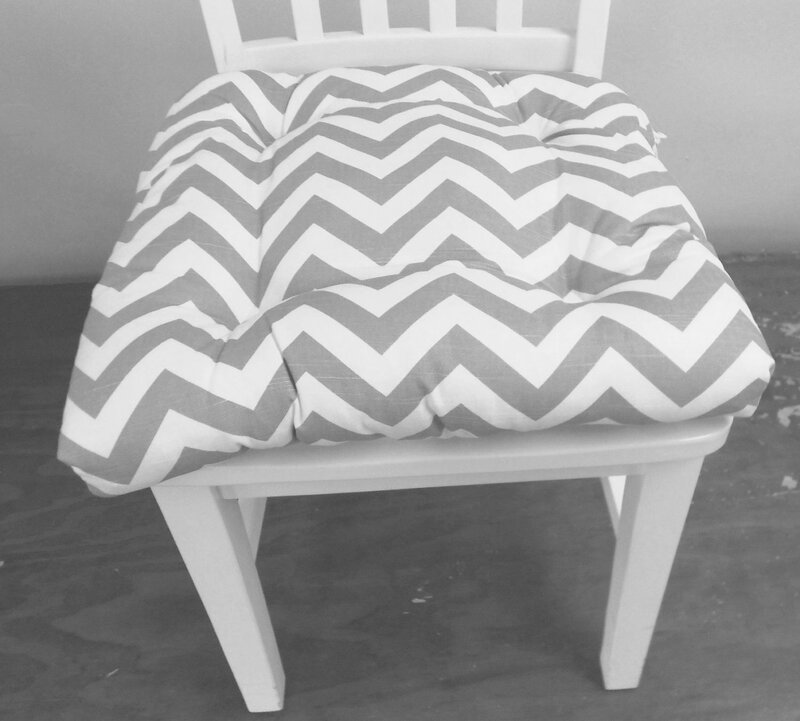 You're literally forced to sit down, strapped to a seat, just you and your thoughts. Not surprising that I spend a lot of my time on planes perusing decorating magazines. I think I'm better able to concentrate on them in the air. It seems as if I see things that I wouldn't typically notice. Like this Fabricut ad that featured a fabric that looked strangely familiar. Perhaps it was because I've used it in not one, but two projects recently. Have I told you how much I LOVE Nancy of Feather Your Nest for making these designer fabrics affordable? I also keyed in on this article that featured an open and airy living room. I was particularly intrigued by the placement of the two upholestred ottomans. I love the layout of this room and the flexiblity that the additional seating provides. It may have just inspired the layout for my next project which happens to be an open concept living room. 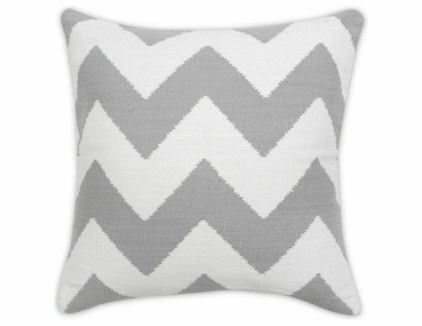 This Jonathan Adler chevron pillow was featured in House and Home's October issue. It also looked familiar to me. Turns out, it's the exact same fabric I saw in Nancy's inventory last month. I'm thinking of using it to recover the chair in my master bathroom, but I'm not quite sure. 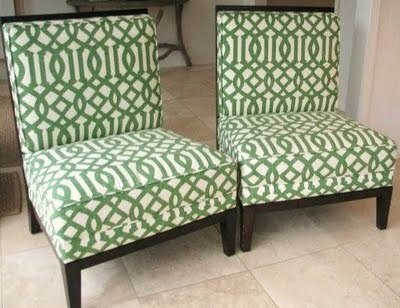 I also love the fabrics featured in this Traditional Home article on patterned velvet. Can't you just see it used on an occasional chair or ottoman? Where do you come up with your best ideas? Leave me a comment. Reading via email? Click HERE to go to the site and then click the word Comments just below this post. nothing like a plane ride that gives inspiration to great ideas.